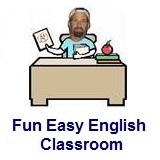 ﻿ Fun Easy English - new classroom free online classes english language lessons speaking listening writing reading december 19. 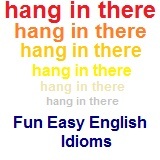 Today in the classroom you are going to learn some idioms beginning with the letter W.
Today learn idioms beginning with the letter W.
This idiom means social level or the type of job a person does. The following video is a famous song showing different walks of life in the sports world. Video: Dire Straits - "Walk Of Life"
Dire Straits were a British rock band, formed in 1977. This is their song "Walk Of Life" with lyrics written in English. Lyrics: Dire Straits - "Walk Of Life"